If you're looking for Location, look no further! 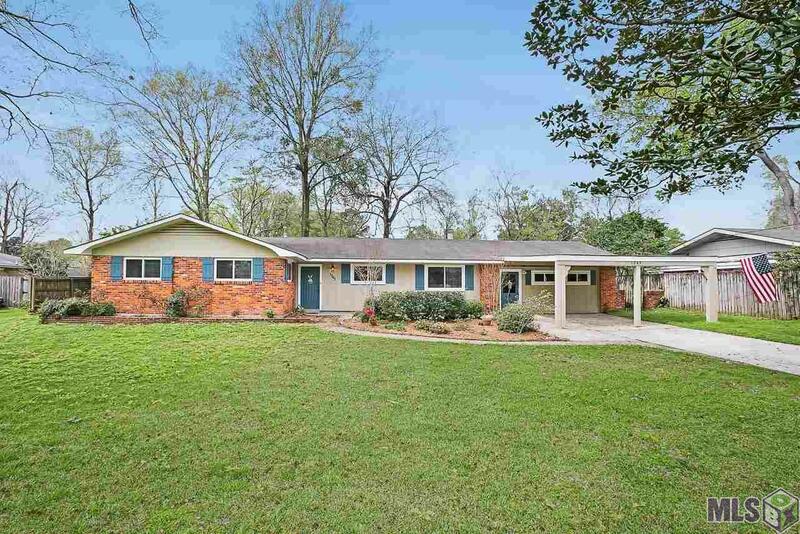 This Classic Ranch Four Bedroom, Three Full Bath home is situated on a Very Large, Beautiful Lot in the center of it all. Convenient to everything Greater Baton Rouge has to offer-Magnet schools, Medical Centers & Hospitals, LSU, the Interstate, fabulous Restaurants, and Shopping. The Split Floor Plan offering spacious Bedrooms and Full bathrooms is ideal for privacy. It also features a Bright Enclosed Sunroom perfect for entertaining or just simply relaxing and enjoying your view. Other Features of the home you will Love include a Large Dining Room which opens to the Breakfast and Kitchen areas, highlighted with Sliding Glass Doors leading to the Outdoor Patio~Perfect for Entertaining, Large Windows affords the Living Room with a ton of light, and a Front Side Entry with a space for Cubby Storage. Outdoors you will find a large Storage Shed for all of your necessities, a nice Wooden Deck, a darling Pergola covered Swing Area and several Fruit Trees including Pecan, Satsuma, Blood Orange and a Blueberry Bush This is a Rarity You will Not want to Miss, so Schedule your Showing Today!